Conditions: Fields have been slow to dry. Only a small amount of manure has been applied. About 25% of the nitrogen/fertilizer has been applied to winter wheat and grassy forage stands. Alfalfa: Winter survival is very good (Figure 1), generally in the 90% range, except for areas along the St Lawrence (Morrisburg/Brockville), which have up to 80% winterkill (Figure 2). Most fields suffered a small amount of damage in low pockets, the result rain/icing last January. Growth is about a week behind normal. 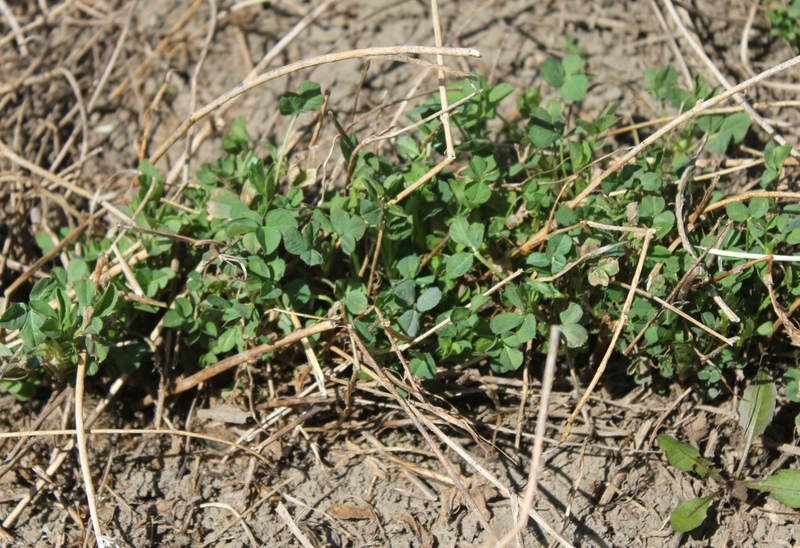 Alfalfa fields harvested last fall suffered more winterkill damage than fields not harvested. Alfalfa growth/development in fall harvested fields is also a few days behind that of non-harvested fields. In grassy fields with less than 50% legumes, applying 70 lbs/acre of actual N fertilizer will stimulate growth and maximize grass production/quality during the entire season. To reseed dead spots in fields, using a no-till drill will be more effective than broadcasting seed or using a conventional drill. Winter Wheat: Winter survival in most of eastern Ontario looks good, except for late planted fields and/or in low spots where water ponded overwinter (Figure 3). 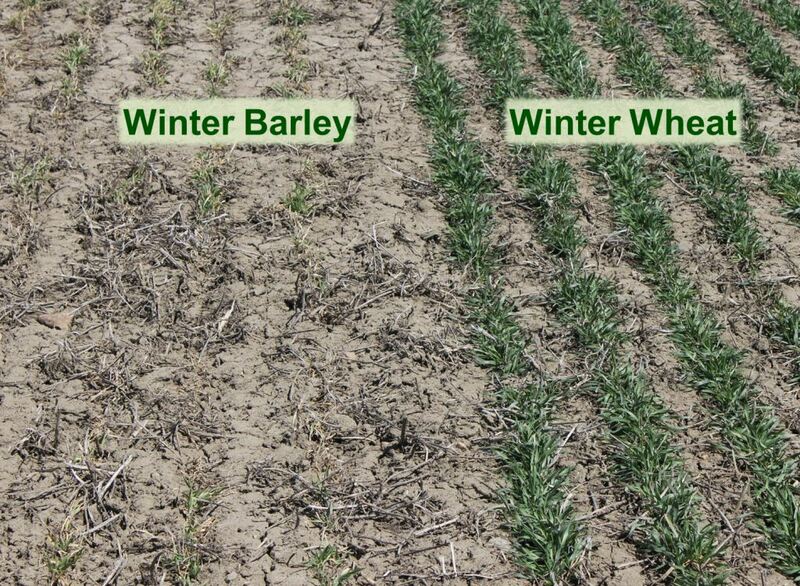 Winter barley in small plots at the Winchester Farm was nearly all winterkilled (Figure 4). Still a lot of nitrogen to be applied and only about 25% of the red clover has been broadcasted on the winter wheat to date. While the crop is developing slowly, winter annual weeds are jumping ahead (Figure 5). Spring Cereals: Demand/needs for straws in eastern Ontario is strong, so many growers are planting a spring cereal where the winter wheat was damaged/killed. Only a very few acres of wheat have been planted to date. Corn: About half of the corn left in the field last fall has now being harvested. Grain moisture is in the 14% range and quality is generally good, while yield losses due to ear drop/stalk breakage are generally in the 5% range. Commodity prices favoring soybeans and lack of fall tillage are shifting some corn acres to soybeans. Adapted corn hybrids can be planted until about May 20th. During the rush to get corn in the ground, it will be important to make time for soil applied herbicide. 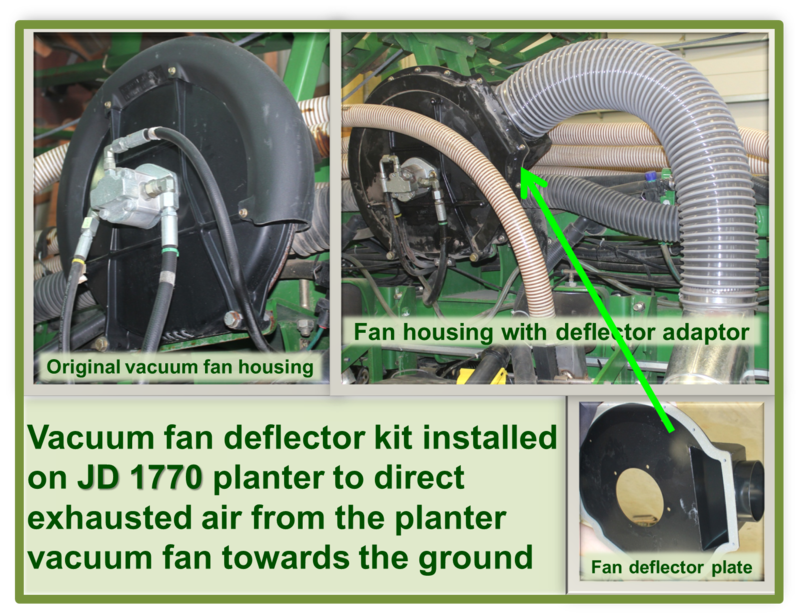 Insecticide seed treatments: Pictured is a deflector kit on a JD 1770 planter (Figure 6). For more information see Adjusting Planting Practices to Protect Pollinators. 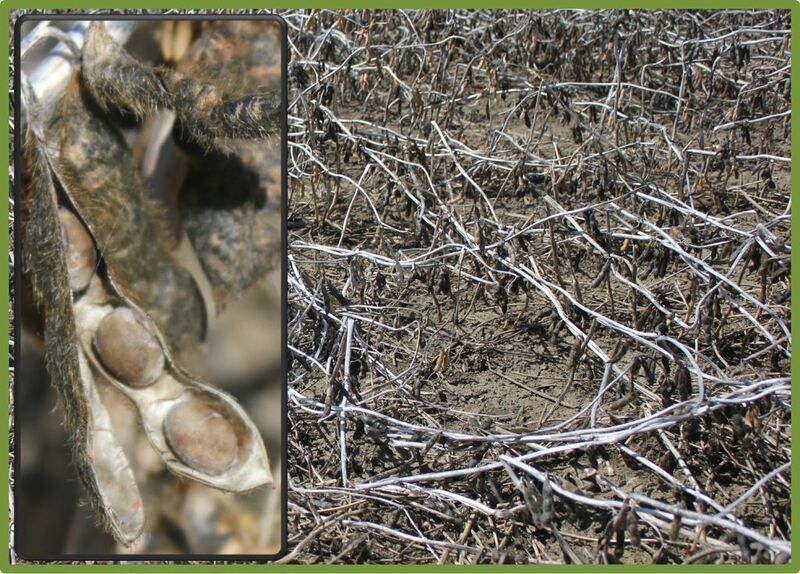 Soybeans: Soybeans left in the field last fall did not overwinter well (Figure 7). IP soybean contracts are mostly filled. Traditionally, the highest soybean yields occur when soybeans are planted between May 5th and 15th. 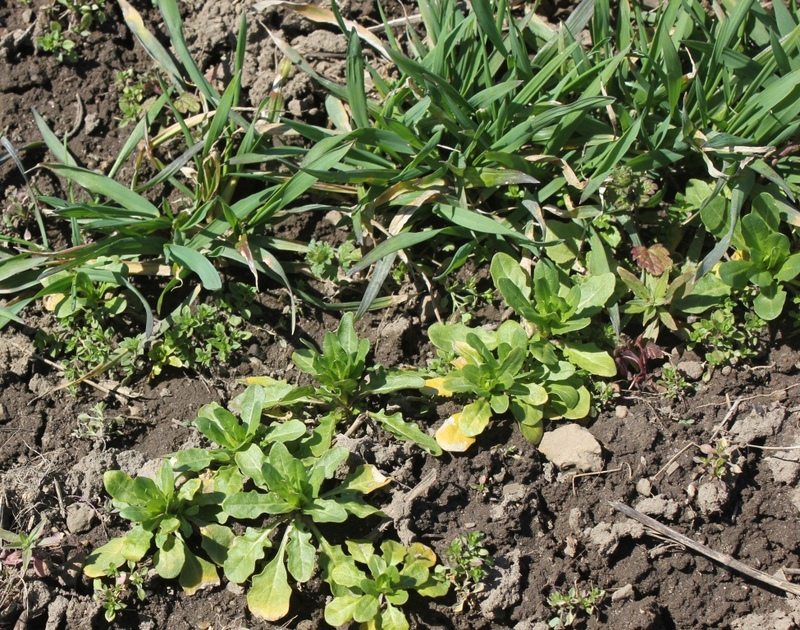 Growers should consider applying a preplant/pre-emergence residual herbicide to control the first flush of weeds, especially in IP fields. Most pre-plant herbicides can be sprayed up to 30 days prior to planting. For pre-inoculated seed, no need to worry about inoculant viability up to June 15th. For pre inoculated seed still in the bag after June 15th, growers should check with their seed supplier regarding inoculant viability. 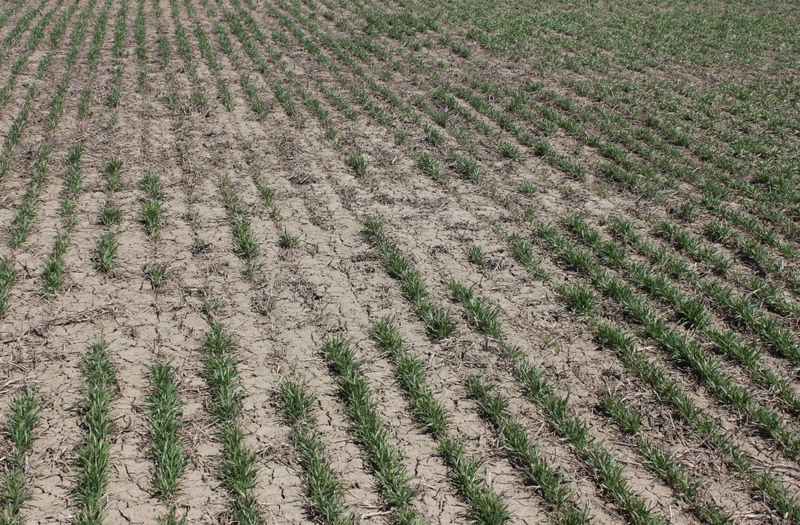 Crop Insurance/Agricorp Update: Only two winter wheat damage reports in this area to date. 7:30 am, May 13th, Country Kitchen Restaurant, Highway 31, Winchester, ON. July 15, 2014 – Eastern Ontario Crop Diagnostic Day, Winchester Research Farm.